On Wednesday, June 27, Southwest Alabama Partnership for Training and Employment (SWAPTE) will hold its annual Board Meeting at Coastal Alabama Community College, 30755 Hwy 43 South in Thomasville. The meeting is scheduled to begin at 11:30 a.m. Greg Canfield, state of Alabama Secretary of Commerce will be the guest speaker. Canfield assumed the job as the states’ leading economic developer in July, 2011. His efforts on recruitment and expansion activity, export opportunities and workforce development have attracted world-class companies to Alabama. 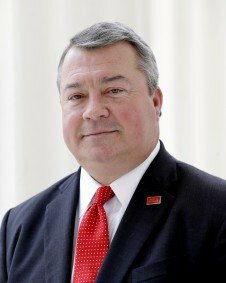 Under his leadership, Canfield has announced projects totaling over $33 billion in capital investment leading to over 120,000 new jobs for Alabamians. SWAPTE is a regional partnership of business, education, labor and community leaders providing access to services in workforce training and employment. SWAPTE serves Baldwin, Choctaw, Clarke, Conecuh, Escambia, Mobile, Monroe, Washington and Wilcox counties.